In this fabulous pork shoulder recipe taken from the menu at 28º– 50º Wine Workshop and Kitchen, Agnar Sverrisson cooks pork shoulder sous vide then crisps up the skin in a hot frying pan. 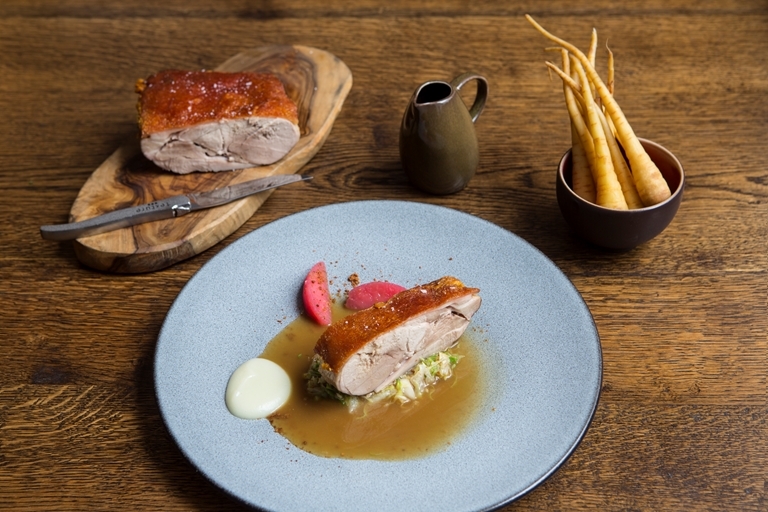 The chef pairs the pork with sautéed hispi cabbage, parsnips and a red apple purée – all classic pork pairings. To season the apple slices, the chef sprinkles over bacon powder. To find out how to make this, read his delicious pigeon recipe.